Third & final mix revolving around ‘The Next Day’. 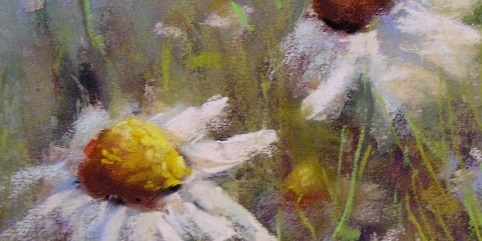 Art added via an iPad app, ‘FoolProof’, allowing for finger painting over photographs. An experiment in Audacity. Starting with Steve Roach‘s Mist of Perception as the base (overall track volume lowered), I layered tracks from Chris Russell‘s new album, Portal on top @ various intervals…for a just over 52 minute long-form piece that I’ve had on ear-buds this week. In 1985, Brian Eno released a CD called Thursday Afternoon. The hourlong work was the soundtrack to a video piece, a project notable for two uses of technology. One, the video was meant to be viewed on a television placed on its side (there’s a YouTube rip out there that requires you to rotate your laptop). And with its 61-minute runtime, Thursday Afternoon was promoted as the first piece to be created specifically for compact disc. Before the arrival of the CD a couple of years before, works of such duration had to be spread across sides. And since Thursday Afternoon was an immersive ambient piece in the classic Eno mold, the idea that you could absorb it uninterrupted in one hour-long session was important. Thursday Afternoon seemed to drift in place; it was music that seemed not so much “played” as “allowed to exist.” Its structure brought to mind wind chimes, as a handful of individually pleasing elements– a few notes of piano, some light synth treatments– knocked around the space arbitrarily but seemed to benefit from the lack of order. Eno’s first true ambient work, Discreet Music, from 1975, was his first example of the form; there, he generated a handful of electronic synth tones and allowed them to cycle through chance patterns (the title track from that album also pushed the limits of technology, with over 30 minutes of audio on a single LP side). And now, Eno’s new solo album, first created for an art installation, is another. Lux consists of four tracks spread across 75 minutes, but you don’t really know where one ends and another begins and it doesn’t matter. Like those earlier works, a small number of sounds that complement each other are set loose in a space and allowed to move around in different configurations, with subtle patterns sometimes emerging from the randomness. The most prominent of these sounds is single piano notes played quietly, which further connects the work to Thursday Afternoon in the Eno lineage. But where the 1985 album felt submerged and ghostly, Lux is clear and bright, with the crisp higher harmonics allowed to come through. 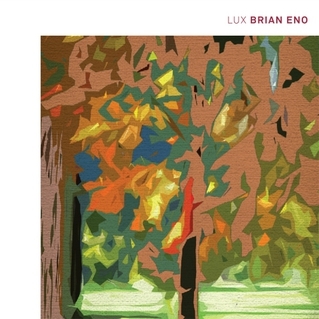 The other Eno work that comes to mind with Lux isn’t a CD, but yet another boundary-pushing use of technology, and that’s his iPhone app Bloom. The basic elements of light, thin drone mixed with piano notes that strike, decay, and play against other notes is also the central idea of Bloom. The danger with a program like Bloom, where Eno creates a generative system that allows the listener to make his or her own ambient pieces, is that it raises the question: What purpose does the artist himself serve at that point? He’s possibly invented himself out of existence. But if Lux does nothing else, it suggests that there’s a reason Eno’s name has become synonymous with “ambient” and why his thoughts on the music remain the gold standard. Thursday Afternoon was assembled to accompany a “visual painting” and Eno studied art, and it’s best to think of his music using the language of design– the colors used, their proportions, how they are laid out and balanced in the space. Eno is brilliant at getting things just so. So Lux has a mix of space and sound that feels right; no one element dominates or becomes grating over the course of 75 minutes, even though all repeat over and over. Piano notes linger, there are light plucks on what could be a harp, and everything is bathed in Deep Listening-levels of reverb. While it accomplishes Eno’s long-stated goal of changing the mood and feel of a room, “tinting” the atmosphere, it refuses to enforce any feeling in particular. It’s easy to forget that Eno’s ambient work doesn’t always fit his strict definition. Music for Films sounds like it– it’s very suggestive of particular feeling– and the brilliant Ambient 4: On Land conjures an entire landscape, one filled with swamps and strange creatures. But Lux is squarely in the tradition of music that can be ignored but holds up (sometimes just barely) to closer scrutiny. It turns any living room into an art installation where interesting things may or may not happen, and its lack of direction and specificity is in its own way brave. Sometimes it’s hard to not say anything; Brian Eno is doing just that, once again, and beautifully. I’ve read approximately 25 online reviews of David Bowie’s ‘The Next Day’ album (deluxe version), made 2 rock mixes (here & here) using 11 of the album’s tracks, 1 Ambient mix (using the instrumental, ‘Plan‘) & have re-ordered the album on my BlackBerry (tossing 2 useless tunes & setting the remaining songs up slowest to fastest). I’m a 53 year old ambient music mixer who has been digging the #ThinWhiteDuke’s creative output since I picked up the then new ‘Young Americans’ & began digging through the back catalog. I’ve seen him 3 times in concert (Station to Station, Let’s Dance & Glass Spider) & wrote a college paper comparing his ‘Cracked Actor’ to Robert Frost’s poem ‘Provide, Provide’. I’ve never been a nutty fan (though I did dress up as Aladdin Sane for Halloween one year to impress a chick I was dating) but, as an English literature major, I have generally been impressed with the concise clarity of Bowie’s writing as well as his adventurous experimentation in presenting his work (and have been appreciative of his leading me to Robert Fripp & Brian Eno via his collaborative associations with those gentlemen). At 66 years old, I don’t expect ‘Rebel, Rebel’ from my rock-stars…but neither did I expect the title track’s blistering, sneering vocalizations…so I was impressed right out of the box. I’ve used the slightly caustic ‘Plan’ on an ambient mix (‘Causticity’) and instantly memorized the lyrics to ‘The Next Day’ (title track) to sing along in the car (on the 1st mix, right after ‘Beauty & the Beast’). ‘Heat’ reminds me of Outside’s ‘The Motel’, ‘Dirty Boys’ – “Heroes” ‘Sons of the Silent Age’, ‘Valentine’s Day’ of Aladdin Sane’s ‘Drive-In Saturday & ‘The Prettiest Star’, ‘If You Can See Me’ a combination of Earthling & Tin Machine II’s ‘A Big Hurt’. ‘(You Will) Set the World on Fire’, with its quasi-plagiarous nod to Jack White’s ‘Sixteen Saltines’ reminds me of same, ‘Where Are We Now’ of Station to Station’s ‘Wild is the Wind’ and ‘The Next Day’ a conglomeration of ‘Scary Monsters (and Super Creeps)’/’Repetition’[Lodger]/and Heroes ‘Beauty and the Beast’. The subtle & inspired cover art at once makes a bold statement. It says “Here’s where I’ve done…and here’s what I’m now doing” – both embracing and moving on from the past. 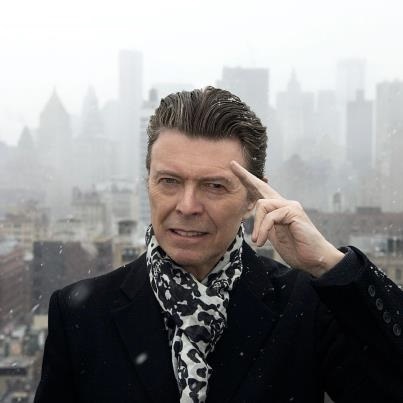 Bowie’s not going to go down quietly crooning his greatest hits in Atlantic City or Las Vegas…OR make us wish he was! It’s the story of one of THE icons of Rock & Roll letting us know that he’s still “got it” some 45 years after launching his ever changing, driving career. I’ve given ‘The Next Day’ a 4.5 out of a possible 5 for a return to form and overall play-ability (AND because it’s definitely NOT ‘Never Let Me Down’, ‘Let’s Dance’ or ‘Tonight’). 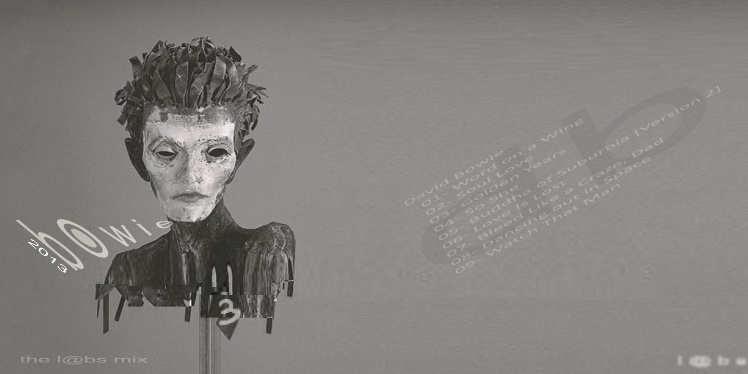 David has definitely delivered on this latest offering: solid sonics, tight lyrics & musical/lyrical/chronological references to keep his core fan base satisfied. The inclusion of Earl Slick, Gerry Leonard, David Torn [Prezens!] & Tony Levin are, for me…comfort food…familiar sonic pioneers, yet safe choices for a re-entry oriented Monsieur Bowie as he has worked with these gentlemen & knows that they’ll deliver the sounds for the songs he’s meticulously crafted herein. …but: the bottom line with Bowie is that I’m a long-time fan, and I know what I like and I like #TheNextDay. I like it a lot; and no amount of pseudo-punditry is going to change my mind “+” or “-“. At 66…Mr. Jones a.k.a. Bowie has nothing to prove and thus, I needs must think, has given of himself as he hasn’t, comprehensively, for quite a while. It’s a labor of love; and…that’s a good thing for this #JeanGenie (my formal name is Gene). (it’s a Bowie thing…you either know what I mean or you don’t). As a member of the Relaxed Machinery (ello) community, I’m privileged to hear, see & spin some excellent ambient aural material…from both established & existing artists (ambient, microsound, space, drift, wave, dark, drone and just about any other sub-genre you can name). 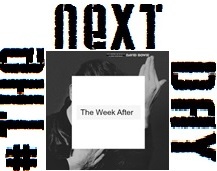 Part 2 of a two mix set reflecting Mr. Bowie’s recent release, ‘The Next Day‘. I’ve been hooked on Bowie’s creative genius & sound since age 16 when I bought the then (1975) new ‘Young Americans’ album…& then started digging into his back catalogue. Moving through college with Station to Station/Low/Heroes/Lodger & Scary Monsters, (as well as any output by Robert Fripp & Adrian Belew) I grew addicted to raunchy/creative guitar while friends lusted after pop-ier fare like Elton John, Billy Joel, Boston or Journey). I also realize that, as I age, so do my rock stars…so I don’t expect “Rebel-Rebel” from a 66 year old, ;- ). 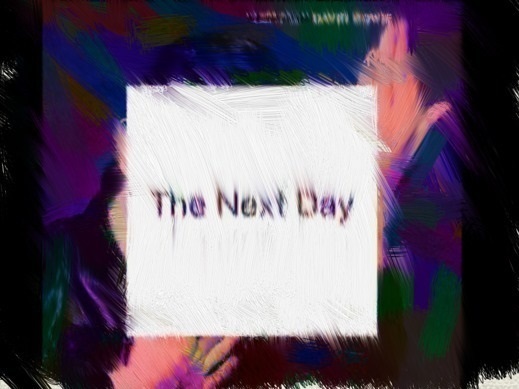 I give #TheNextDay 4.5 stars (out of 5) for creativity & return to form (title track, ‘Heat’, ‘Stars..’, ‘Dirty Boys’, ‘Where Are We Now?’, ‘…Grass Grow’, ‘V-Day’ & ‘If You Can See Me’ are my faves) . The sprinkles of back catalog references (wow – the drum ending of ‘You Feel So Lonely…” to “Five Years” is cool) are very much noticed & appreciated. There are several I deleted when x-fering to my Blackberry (I never like ALL the songs) but the gritty title track is one I’ve been singing in my car (yesterday AND the next day and another day!). Love the Earl Slick, Tony levin & David Torn (‘Prezens’! !, anyone?) inclusions…and of course we cannot overlook the fabulous Visconti touch (David should never have produced ANYTHING without Tony). So the 66 year old maestro releases an album…and it’s kiLLer! A complex puzzle, lyrically & musically; well…it delivers (and the next day and the next and another day!). This is the first of 2 – the 2nd will deal with the slower stuff from the thin, older & slightly more wrinkled, white duke. 08 David Bowie – What’s Really Happening? On March 27th, Dr Sounds will release an EP, ‘DY9397‘. The name comes from a flight number, DY9397, and is music that fusions eastern tablas with chill out. This video features one song, ‘DK2808‘ and the full EP will be available on March 27th, the same day his flight to Gran Canaria is going. The story of King Crimson’s revi­tal­iza­tion for a new decade with the album Dis­ci­pline has been told many times over. The 1981–84 period is usu­ally dis­cussed in terms of per­son­nel, with most com­men­tary mar­veling that no two con­sec­u­tive prior King Crim­son albums had ever before fea­tured the same lineup. No doubt, for a band defined by per­pet­ual lineup changes, it was novel indeed to finally sta­bi­lize around a fixed group of musi­cians. It’s a handy nar­ra­tive hook upon which to hang a record review, but it’s only part of the story. 1981–1984 saw the band unusu­ally focused on a core set of musi­cal ideas. They laid them out in a nearly per­fect the­sis state­ment in the form of their debut album Dis­ci­pline in Sep­tem­ber 1981. This “new” Crim­son was to be defined by inter­lock­ing gui­tar parts (shared at first by two vir­tu­oso gui­tarists, but expanded on later tunes like “Neal and Jack and Me” to encom­pass the full quar­tet), bleeding-edge tech­nol­ogy (drum and gui­tar syn­the­siz­ers, plus the futur­is­tic instru­ment the Chap­man Stick), quirky New York pop ten­den­cies (of the Talk­ing Heads vari­ety), a dash of world music influ­ences (par­tic­u­larly Afropop and Indone­sian game­lan), and com­po­si­tion derived through impro­vi­sa­tion (exam­ples being “The Shel­ter­ing Sky”, “Requiem”, and later most of side two of Three of a Per­fect Pair). Sim­i­larly, the tril­ogy of albums released between 1981–1984 saw the most uni­fied visual design work King Crim­son would ever enjoy. Across the full band discog­ra­phy, the three early-80s albums are obvi­ously and unmis­tak­ably asso­ci­ated; even to some­one who has never heard the music, one glance reveals that they belong together. Min­i­mal­ist design was also employed in vary­ing degrees in related releases dur­ing this period (includ­ing var­i­ous sin­gles, laserdiscs, and video­cas­settes). 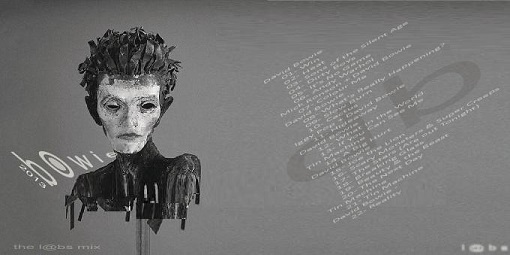 The 1998 archival live release Absent Lovers marks a lost oppor­tu­nity to visu­ally call back to the style of the period. Pre­vi­ous Crim­son albums were all over the place in terms of design. They made use of paint­ing, illus­tra­tion, pho­tog­ra­phy, and absent or incon­sis­tent logos. In stark con­trast, the 80s tril­ogy is marked by min­i­mal­ism, graphic illus­tra­tion, strictly lim­ited color palettes, and a con­sis­tent type­face. Dis­ci­pline and Beat go so far as to reserve the entire back cover to track list­ings and cred­its, with­out any graph­ics at all. This level of restraint was not seen since the refined illus­tra­tion of Larks’ Tongues in Aspic (1973) and the bare-bones aes­thetic of Earth­bound (1972). The latter’s plain black sleeve is likely a result of its bargain-basement ori­gins, but in ret­ro­spect looks quite attrac­tive on the shelf adja­cent to the 80s trilogy. The typo­graphic style is also admirably restrained. I haven’t been able to exactly iden­tify the par­tic­u­lar serif type­face, but it shares a kin­ship with the type on Larks’ Tongues in Aspic and Star­less and Bible Black. If you want to approx­i­mate it in a graph­ics app such as Pho­to­shop, try Gara­mond or Caslon with the hor­i­zon­tal scale reduced about 80–90%. Dis­ci­pline vies with Islands for the Crim­son album with the most com­plex release his­tory. Indeed, about the only char­ac­ter­is­tic the two dis­parate releases share is that they have both been issued with more than one design. The orig­i­nal Dis­ci­pline LP sleeve unwit­tingly fea­tured a copy­righted Celtic knot design by John Kyrk. Addi­tion­ally com­pli­cat­ing mat­ters, the 1986 and 1989 CD reis­sues fea­tured crudely and dis­pro­por­tion­ately enlarged ver­sions of Kyrk’s icon, pre­sum­ably to com­pen­sate for the reduced phys­i­cal scale of the format. The 2001 30th Anniver­sary Edi­tion belated rec­ti­fied the mat­ter by finally inau­gu­rat­ing a new ver­sion illus­trated by Steve Ball (a mem­ber of Fripp’s course of study Gui­tar Craft). 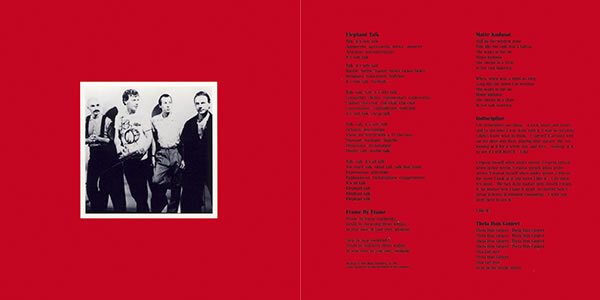 The 30th Anniver­sary sleeve also restored the proper pro­por­tions based on designer Peter Saville’s orig­i­nal LP sleeve design (alas, my copy appears to have been mis­printed, seem­ingly lack­ing the proper amount of white or sil­ver ink). Sav­ille is cred­ited for “graph­ica” on the orig­i­nal Dis­ci­pline album pack­age. He famously designed many now-iconic sleeves released by the leg­endary Man­ches­ter label Fac­tory Records in the late 1970s and early 80s. He is most asso­ci­ated with the short-lived band Joy Divi­sion and its rein­car­na­tion as New Order, but he was also embraced by lat­ter day Brit­Pop bands like Suede and Pulp. Dis­ci­pline was to be his only work for King Crim­son, but of inter­est per­haps to fans of Crimson’s imme­di­ate fam­ily of con­nected col­lab­o­ra­tors, he also designed David Byrne and Brian Eno’s My Life in the Bush of Ghosts (1981) and Peter Gabriel’s So (1986). For con­text, above is a selec­tion of con­tem­po­rary album cov­ers that might have been seen in record stores along­side Dis­ci­pline circa Sep­tem­ber 1981. As you can see, many of these designs could also be described as min­i­mal­ist, with large fields of solid color and lim­ited palettes. It’s worth not­ing that these designs would have appeared even more bold and strik­ing on the dom­i­nant for­mat at the time, the LP record sleeve. 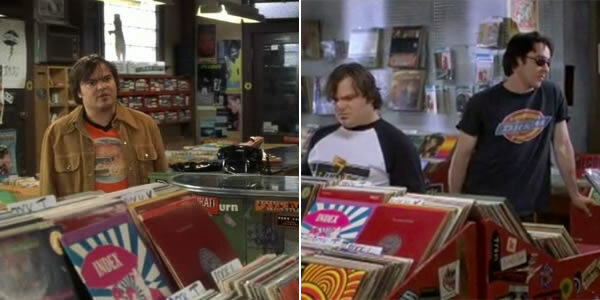 As noted in the Intro­duc­tion to The Young Person’s Guide to King Crim­son Album Art, an LP copy of Dis­ci­pline makes a few cameo appear­ances in the 2000 fea­ture film High Fidelity, by direc­tor Stephen Frears. One might like to imag­ine that the album was selected for its his­tor­i­cal sig­nif­i­cance and artis­tic merit, but it’s just as likely the film’s art direc­tor sim­ply liked how the large solid red square looked on camera. Vari­a­tions of Steve Ball’s knot­work icon are used to this day as the logos for Dis­ci­pline Global Mobile (DGM), Inner Knot Records (an inde­pen­dent record label asso­ci­ated with DGM), The League of Crafty Gui­tarists, and The Orches­tra of Crafty Guitarists. 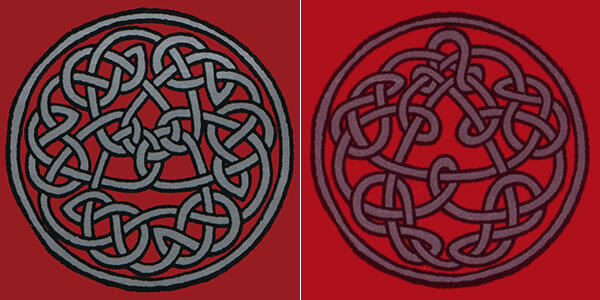 The celtic knot motif has had the longest life of any King Crimson-related iconog­ra­phy. Unlike the six-pointed sym­bol used on many THRAK-era releases (which sym­bol­ized the double-trio con­cept of paired gui­tars, basses, and drums), the Dis­ci­pline knot is not tied to the band makeup but rather to the philoso­phies that Fripp has stud­ied, and later, those that he estab­lished him­self. In that respect, at least, it fol­lows in the foot­steps of the mys­ti­cal or philo­soph­i­cal emblems such as the Tantric dual­i­ties on Larks’ Tongues in Aspic and the Jun­gian arche­types on In the Wake of Posei­don. Kyrk was a par­tic­i­pant in the Clay­mont Soci­ety in West Vir­ginia, study­ing the philoso­phies of J.G. Ben­nett, whom Fripp had dis­cov­ered circa 1974. It is beyond the scope of this visual sur­vey to sum­ma­rize Ben­nett, but very briefly, he was a fol­lower of the mys­tic G.I. Gur­d­ji­eff, and the writ­ings of both men had a pro­foundly sig­nif­i­cant impact upon Fripp. The most out­wardly vis­i­ble effect to music fans was his extended sab­bat­i­cal from King Crim­son and the music indus­try as a whole in the mid to late 1970s. On a per­sonal level to Fripp as a human being, the philoso­phies directed his behav­ior, inter­ac­tions with oth­ers, and for­mu­la­tions of plans for the future. The “ennea­gram” Kyrk referred to in his post to the Ele­phant Talk online forum to is likely the Fourth Way Ennea­gram, asso­ci­ated with Gur­d­ji­eff. I’m not sure if Fripp is on record regard­ing the glyph’s per­sonal sig­nif­i­cance to him, Gui­tar Craft, or DGM. He often pub­lishes notes from his Gui­tar Craft courses on his online diary, includ­ing text laid out visu­ally in forms resem­bling ennea­grams. Exam­ples may be found in plain text for­mat on the offi­cial Orches­tra of Crafty Gui­tarists site. This is purely sup­po­si­tion on my part, but the knots may be related to the struc­ture of Gui­tar Craft itself. There are seven lev­els in Gui­tar Craft, but the orig­i­nal Dis­ci­pline icon has only six kinked loops in the outer ring. More likely, the inter­wo­ven aspect of the entire piece reflects the mechan­ics of group col­lab­o­ra­tion in Gui­tar Craft, par­tic­u­larly the con­cept of the Cir­cle and the prac­tice of pass­ing one note from one player to the other known as Cir­cu­la­tion. As is clear from read­ing Fripp’s online diaries and Eric Tamm’s book Robert Fripp: From King Crim­son to Gui­tar Craft, group work in Gui­tar Craft is not only musi­cal but also just plain “work” — for a sig­nif­i­cant por­tion of the courses involves com­pul­sory chores such as kitchen duty. Con­structed from sev­eral dif­fer­ent and inde­pen­dent lines, each one in itself is quite frag­ile. Yet, when all the strands are woven together the remark­able results are as strong as they are flex­i­ble. Like the knot-work relief which graced the spar­tan cover, Dis­ci­pline, is about the inter­con­nect­ed­ness of ideas and expe­ri­ence har­nessed together. The knot may have had its ori­gins with G.I. Gur­d­ji­eff and J.G. Ben­nett and rel­a­tively briefly became asso­ci­ated with King Crim­son, but later iter­a­tions became more per­ma­nently affixed to two very dif­fer­ent ven­tures: Dis­ci­pline Global Mobile and Gui­tar Craft. The Crafty knot vari­ant has adorned at least three League record­ings, includ­ing Live II, Show of Hands, and Inter­galac­tic Boo­gie Express. Knots also serve as the de facto logos of The League of Crafty Gui­tarists and The Orches­tra of Crafty Gui­tarists. The most pro­lific use of the knot is as the logo of the Dis­ci­pline Global Mobile since circa 1994, appear­ing in the fine print of nearly every phys­i­cal release as well as the DGM Live website. Some notes for the hard­core col­lec­tors: it appears that only the Ele­phant Talk 12″ and Matte Kuda­sai 7″ were issued in pic­ture sleeves (and as you can see, the Ele­phant Talk 12″ cover design is func­tional at best). 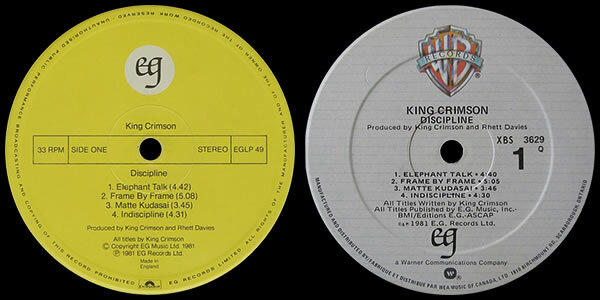 The so-called “Dance Remix” of “Ele­phant Talk” was included on the US promo 12″ LP only. A needle-drop record­ing fea­tures among the 40th Anniver­sary Edi­tion DVD bonus fea­tures, and it appears to be nearly iden­ti­cal to the album mix, save for a slightly extended instru­men­tal intro­duc­tion. It’s for com­pletists only, but I found it inter­est­ing to get a clearer lis­ten to the intri­cate back­ing tracks sans vocals. A ver­sion of the Matte Kuda­sai 7″ released in the Nether­lands included a “Spe­cial Mix”, but I have been unable to deter­mine what that means, exactly. The orig­i­nal 1981 vinyl press­ings of the Dis­ci­pline album included a “Matte Kuda­sai” mix fea­tur­ing a solo lead per­formed by Robert Fripp. Sub­se­quent issues sub­sti­tuted a dif­fer­ent mix with Fripp’s play­ing excised. The 30th Anniver­sary reis­sue includes the orig­i­nal mix as a bonus track. 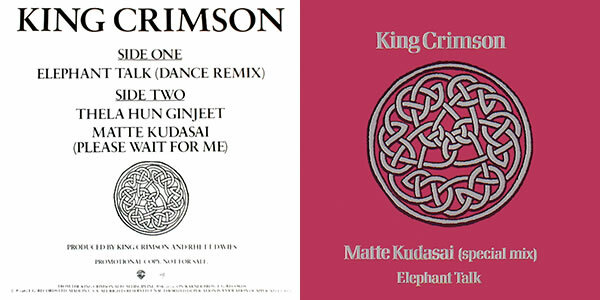 So if in 1981, the only ver­sion of “Matte Kuda­sai” was the one with the Fripp solo, what is the “Alter­nate Mix”? Pos­si­bly the one with­out Fripp, that later became the defin­i­tive version? There I was. Just sitting there. Minding my own business. I wasn’t even thinking about making another mix [yet]. 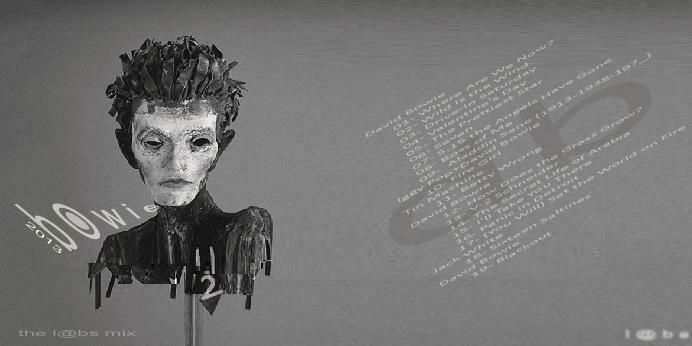 So, starting with the track ‘There’s a Light in Vein‘, I crafted [another] mix around Dirk’s recent offering & am making it available (with his kind permission) as both a single & separate (still mixed) track download.